In the new Times of London Literary Supplement, I have a review (available here) of two different sorts of books about one subject, i.e. the curious history of the Soviet automobile: Lewis Siegelbaum’s Cars for Comrades, and Andy Thompson’s Cars of the Soviet Union. If apparatchiks could be retroactively airbrushed from photographs, so could their influence be stripped from car design: the GAZ M21, the “Volga with the star,” added at the request of war hero General Zhukov, “lost” its star after the General had a falling out with Krushchev. 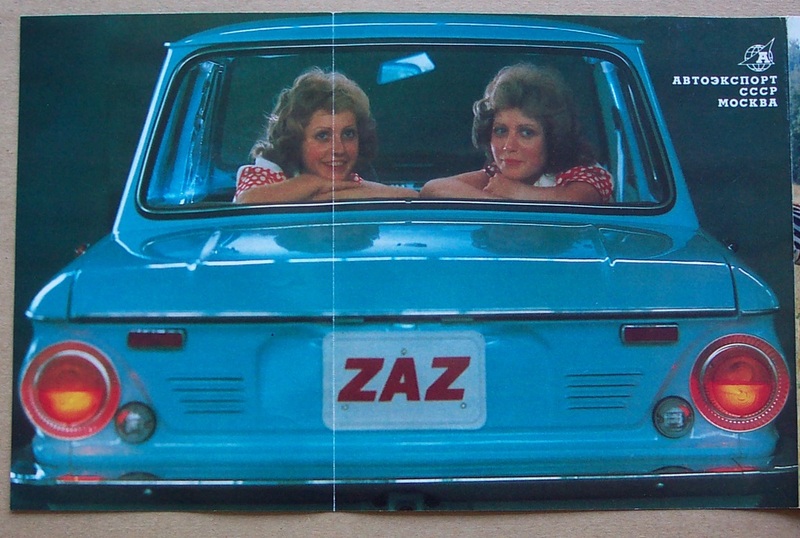 If this is apocryphal, it is not alone: The engine of the ZAZ, or “Soviet Mini,” was rumored to be the starter motor from a Soviet tank; Stalin’s limo, it was said, had no wing mirrors — for who would be foolish enough to overtake? Comments Off on Revolutionary Road. Click here to leave a comment.